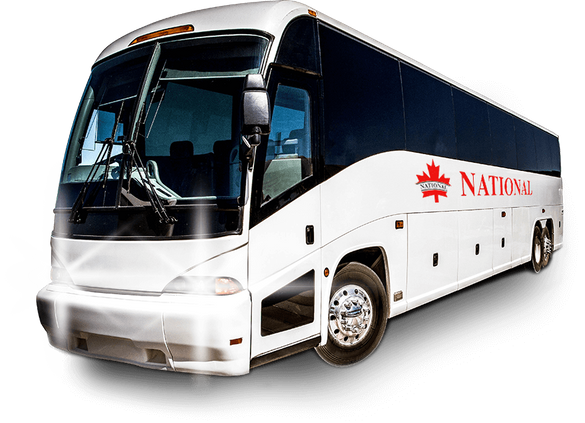 Choose National Motor Coach Systems Ltd. for exceptional charter bus service throughout North America! For 30 years and counting, families, businesses and organizations have trusted our safe and reliable team for premier charter bus transportation in Canada and throughout North America. Our commitment to safety, comfort and on-time service have made us a premier charter bus transportation provider. Speak to our travel planners to discuss your charter bus transportation needs today! Trust your charter bus transportation needs to National Motor Coach Systems and enjoy comfortable, relaxing travel throughout North America. Our drivers are regularly tested for drugs and alcohol to ensure you and your passengers’ safety. Our fleet is well-maintained by a highly trained mechanical crew for additional peace of mind.